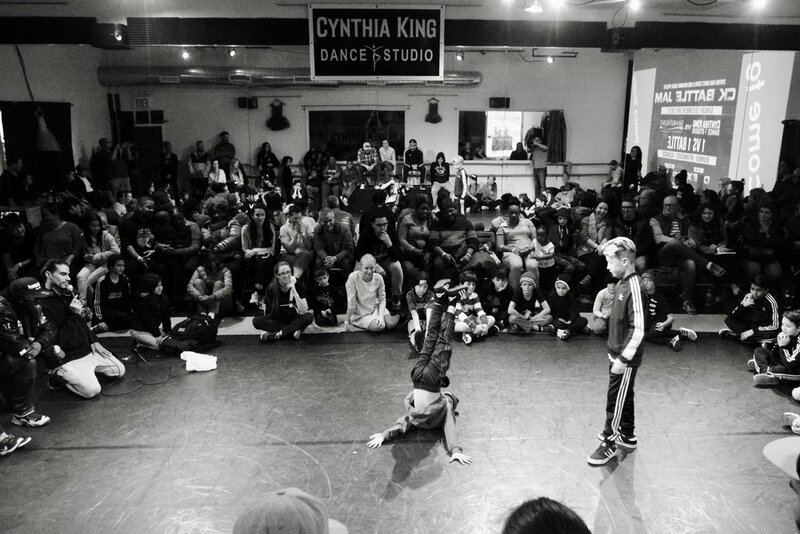 The energy in the studio was through the roof as dancers from Cynthia King Dance Studio stepped up to battle a crew from the Shorefront Y on Sunday, December 3. 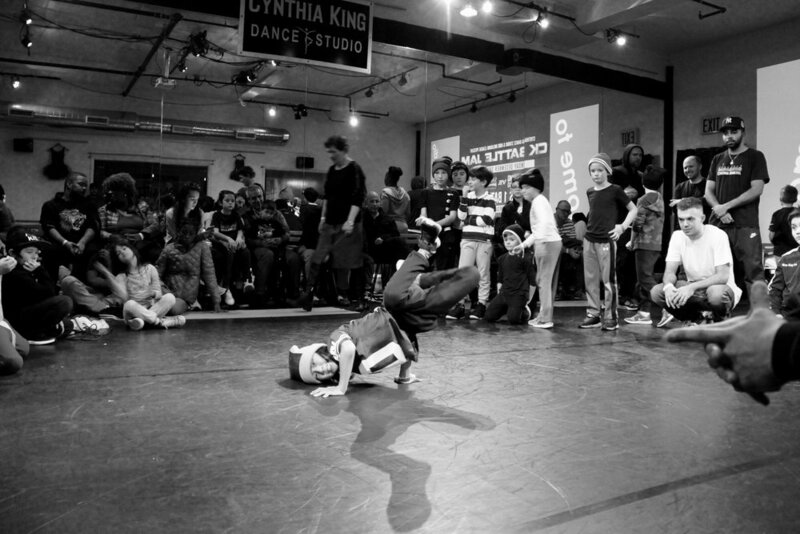 The event, presented by CKDS and the Kids Breaking League, featured one-on-one battles as well as the main event, and the crowd cheered on talented dancers from all over the city. 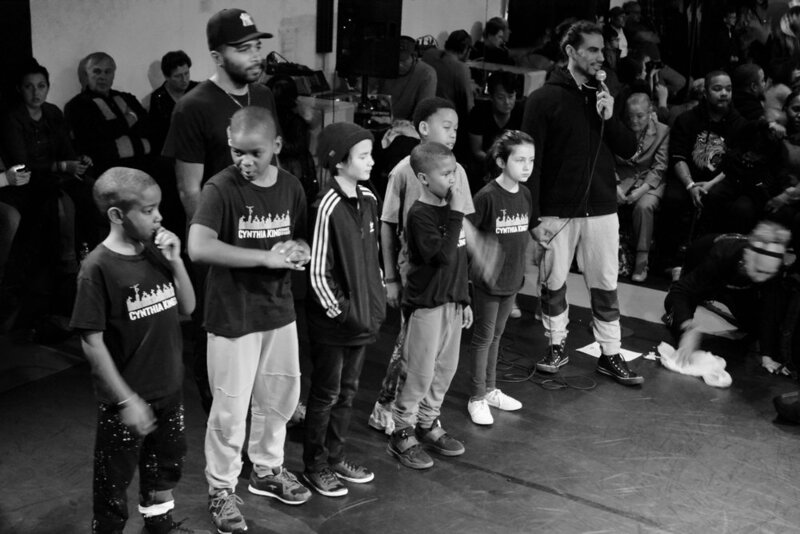 Our dancers showed off what they've been learning in the past few months in a hip hop/breaking class taught by Major King, and we're very proud of the confidence and good sportsmanship that Andre, Emmanuel, Harper, Jeremiah, Kayo, and Kieshawn displayed. 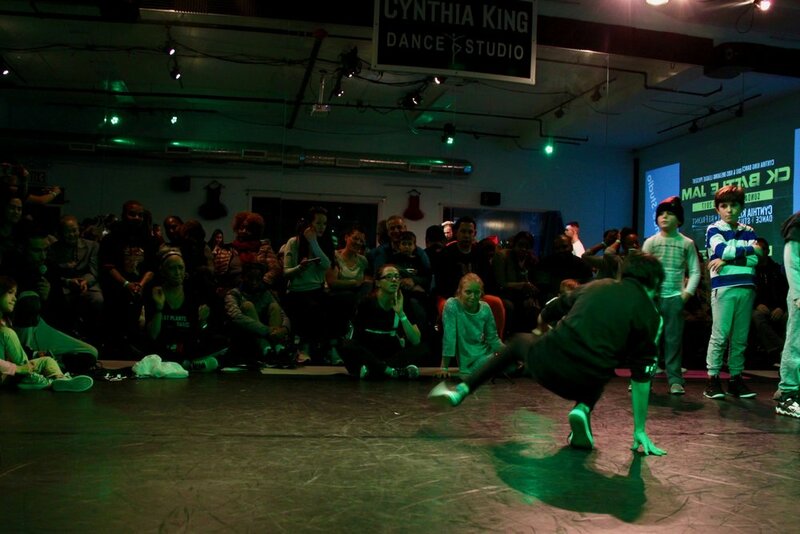 Even though we didn't win the battle, our students learned a lot from their first event, and we can't wait to see how they continue to grow, both on and off the dance floor. Congratulations to the Shorefront Y crew, and thanks to everyone who came out! Adults of all levels are welcome to join this class, which includes conditioning exercises and an eclectic dance sampling. Wear clothes that move, and be prepared to sweat! Sundays beginning October 1, 11am-12pm. The first session on October 1 is free! Proceeds for Cynthia King's Dance-Workout during the month of October will be donated to the Coalition for Healthy School Food, which Ms. King serves as a board member. Advance registration required. Following the first class, a single class is $15. Register for the entire month of October (5 Sundays) for $48! We're also offering an Adult Ballet class, which meets on Thursdays at 7pm starting October 5, and costs $15 per session. All levels welcome. Register today! For families with Parent Portal logins, you'll find the registration info under the "events" tab. 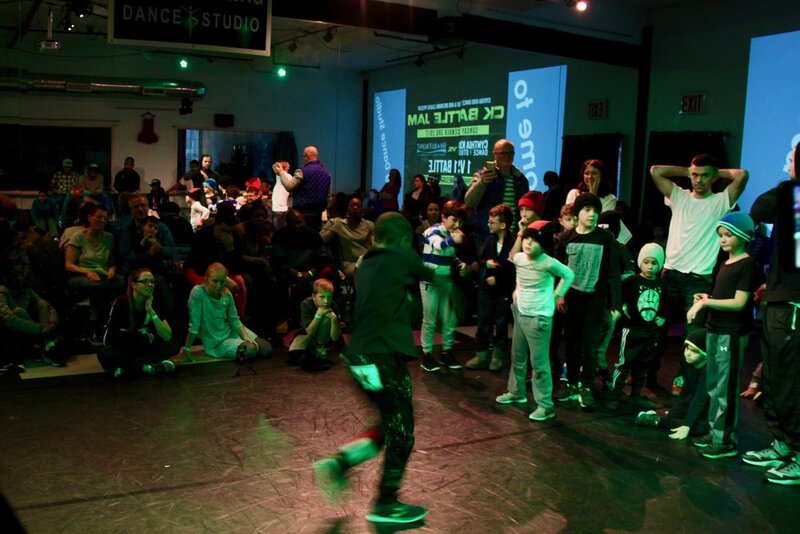 While your child tries ballet, modern, hip hop, and more, we'll provide you info about our programs.